Winter, spring, summer and fall…..
Ashland County is a year-round vacation destination for nature enthusiasts and silent sports fans. 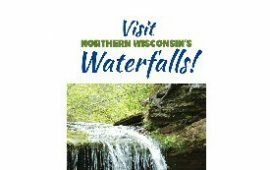 No matter the season Northern Wisconsin’s Waterfalls are always open. Ashland County cordially welcomes visitors to enjoy and explore this shining jewel crowning the greatest of the Great Lakes.